← Buy Your Boskone 53 Membership & Join the Fun! Boskone is coming and the next set of Mini Interviews is here! We are pleased to bring you Walter Hunt, Sarah Smith, and Christopher Weuve, all of whom have fascinating stories to tell. We hope you enjoy these Mini Interviews and we look forward to seeing you in February for a fantastic convention! Don’t forget to register for Boskone. Walter H. Hunt is a science fiction and historical fiction writer. His first four military sf books, originally published by Tor and now in the Baen e-library, were set in the “Dark Wing” universe; his 2008 novel, A Song In Stone, concerns the mysteries of the Templars and Rosslyn Chapel; his 2014 novel, Elements of Mind, (edited by Guest of Awesome Vikki Ciaffone) is about mesmerism in the Victorian era; and his first novel in the world of 1632, 1636: The Cardinal Virtues, has just been published by Baen. He is an active Freemason and baseball fan, and lives in Massachusetts with his wife and daughter. Check out his website or find her on Twitter or Facebook. Boskone has a tremendously literate, engaged community that is genuinely interested in, and devoted to, speculative fiction. Participants especially panelists – have to bring their “A” game, and can expect good attendance and well-thought out questions and comments. As always, the opportunity to meet up with friends and colleagues. Boskone is a smaller, friendlier convention, so it’s very difficult to miss anyone who’s in attendance. I’m writing a new novel with Eric Flint, the first book in a new series from Baen. It’s set in North America in 1759, so it’s demanding in terms of research. As a historian by training, I find this challenging and engaging rather than burdensome. I was pleased to be invited to participate in this new series. I am a writer of speculative and historical fiction. I have written hard science fiction / space opera, time travel, and purely speculative (for example, my sixth novel, Elements of Mind, was about mesmerism, the 19th century fraud science). Historical settings are ones that I find the most interesting, because truth truly turns out to be stranger than fiction. Sarah Smith’s first YA, The Other Side of Dark (ghosts, interracial romance, and a secret from slavery times) won the Agatha for best YA mystery and the Massachusetts Book Award. 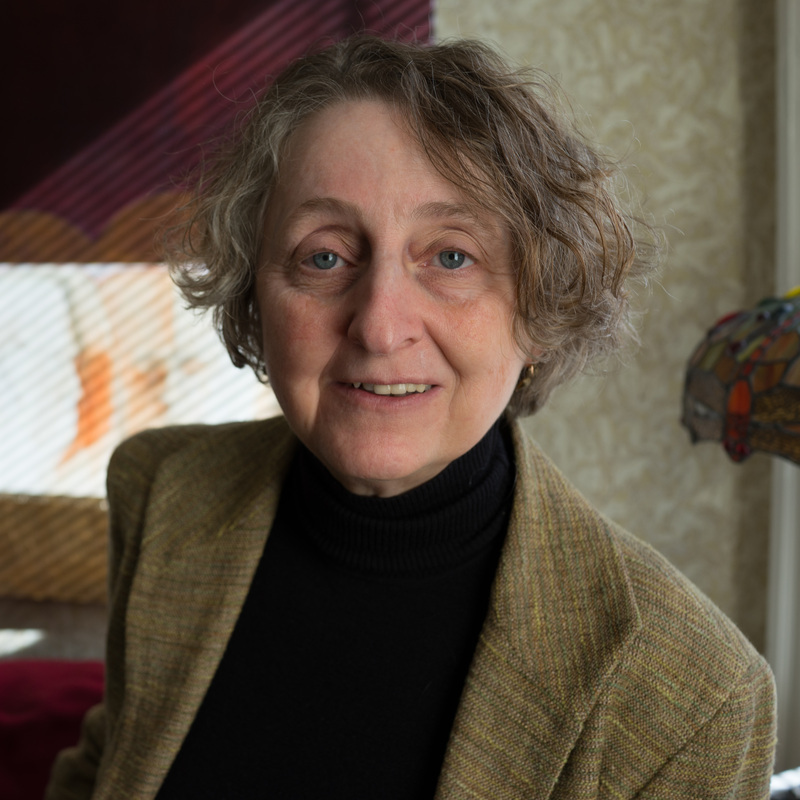 She has also written Chasing Shakespeares, The Vanished Child and The Knowledge of Water (both New York Times Notable Books), A Citizen of the Country, and horror, SF, and hypertext short stories. “A Dog in the Weather” appears in the NESFA Press book Conspiracies (ed. Tom Easton and Judith K. Dial). Chasing Shakespeares has been made into a play, and The Vanished Child is being made into a musical. She finally finished the Titanic book and all the Reisden/Perdita books are now going to be published as eBooks as well. What has she learned in the last year? Doing eBooks takes longer than you think. Especially the cover. Check out her website or find her on Twitter or Facebook. What do you enjoy most about Boskone? You’d think I’d be all about the literary panels because I write stuff, but I love the Art Show. It’s enormous, it’s full of rip-your-eyes-out brilliant work, the kind that slithers right through your eyeballs into your brain. This year, Richard Anderson’s the [artist] GOH, which means there’ll be a lot of his originals in the show. Man. Can’t wait to see his stuff in person. Maybe he’ll even create something during Boskone. After that, it’s all about spending a weekend with my friends. I’ve just been writing about Titanic. You know the Titanic story: couple goes on board in crisis; ship hits iceberg; couple reconcile—“oh, my darling! I’ll see you in New York”—and he dies while she goes over the side. IRL it wasn’t that way; most of the survivors, male and female, suffered from PTSD lifelong. I wanted to give the satisfactions of that Titanic love story and do a little more. So the story’s about survivors, in love with each other, and what happens to them. They grow up through survival, they get where they can commit to the lives they wanted in the previous books in this series. I’ve been working with these characters for four books now, and it’s a pleasure to see them growing and changing. Did I mention that the book’s also a thriller? Did I mention that Titanic sinks three times? It’s not what you read, it’s what books make your soul thrum. To my teenage self, I’d say, “Look at all those books you like. What do they have in common? What attracts you to them? What really works for you in them?” All my favorite books as a kid were about huge houses, houses that were almost worlds in themselves. Malplaquet in Mistress Masham’s Repose. Rest-and-be-Thankful in The Sherwood Ring. The whole of Gone-Away Lake (which wasn’t a favorite of mine as a child, because Greer Gilman introduced it to me years later. But it immediately became a childhood favorite). I’m still a huge fan of houseporn—golly, Hogwarts—but if I’d thought about what I was reading and loving then, I would have figured out earlier that the sorts of books I was meant to write were either worldbuilding SF or historical fiction (which is SF in disguise, with some of the worldbuilding bits already done). 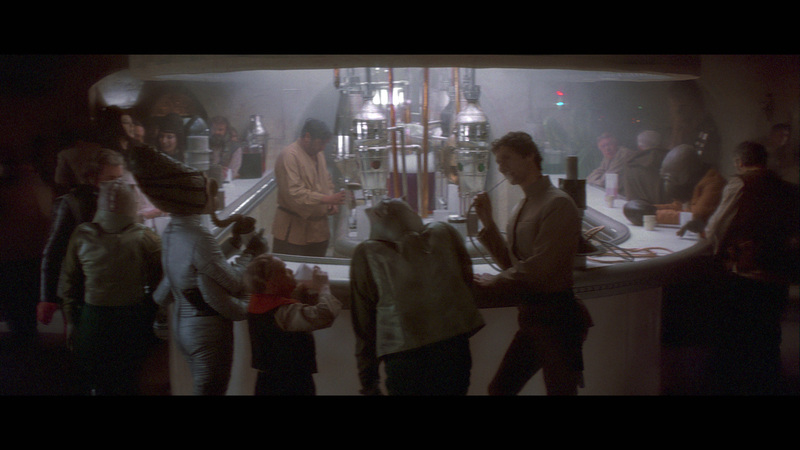 I saw A New Hope first, when it was the only Star Wars, so I’m all about the Mos Eisley Cantina. But I have a special feeling about the first scenes of Luke Skywalker, where he’s still at his aunt and uncle’s moisture farm. He’s just a farmhand, but he has a cool flying car, and he finds droids and fights Tusken Raiders and meets a Jedi Knight and and—The film starts at such a high pitch, you know it’s only going to get better from there. And it does. Christopher Weuve is one of the founding members of BuNine (David Weber’s Honorverse technical support team), and currently serves as BuNine’s President and Designated Extrovert. A professional naval analyst and wargame designer, Chris spent six years at the Center for Naval Analyses (he notes the Combat Information Center of an Arleigh Burke class destroyer would make an excellent starship bridge), and then five years on the research faculty of the US Naval War College, specializing in the use of wargaming as a research tool. Outside the day job, he was the “military expert” for the Discovery Channel’s Curiosity (Alien Invasion) show, and is (to the best of his knowledge) the only person ever interviewed by the journal Foreign Policy about science fiction warships — twice! With BuNine, Chris was an editor for House of Steel: The Honorverse Companion in which he also co-authored (with David) the “Building a Navy” chapter. An avid science fiction fan since before he was old enough to read, Chris spends his time pondering the differences between Real-World™ naval warfare and how similar subjects are represented in science fiction. He still describes himself as an Iowan, over two decades after he moved east. Check out his website or Facebook. Right now the big project I am working on is the new Honorverse companion book, House of Lies, which is being authored by David Weber and BuNine, David’s analytic visualization team. This is the second book in the series, following House of Steel: The Honorverse Companion in 2013. This book will be an in-depth background look at the (People’s) Republic of Haven and the Andermani Empire, with a few short stories from David to boot. It’s a great opportunity for me and my BuNine colleagues to help define and expand the Honorverse. Aside from that, I am working on a couple of projects. One is a book on professional war gaming, based on my experience as a professor of war gaming at the US Naval War College and earlier at the Center for Naval Analyses. The other is a book with the working title of Enterprise vs Enterprise: What the US Navy Taught Me About Starfleet. At CNA I was the crazy guy they could get to go do an at-sea exercise on a week’s notice, and now I want to share what I learned with science fiction fans — in this case, through the lens of Star Trek. It’s somewhat similar to the second interview I did for the Foreign Policy blog a couple of years ago. If it does well, I intend to follow it up with two more books, one focusing on Battlestar Galactica and space-going “aircraft carriers,” and another on the general idea of space navies versus Real World™ navies. So far I’ve mostly been working in the “about science fiction” space, rather than writing science fiction myself. I’ve spent the last 15-plus years as a naval analyst (complete with a masters from the Naval War College), and I my hobby is to bring that skill set to the science fiction realm, which I do at cons and by serving as a technical adviser to science fiction writers. (The list includes not only David Weber, but also Chuck Gannon, Tom Harlan, Walter Hunt, John Lumpkin, and Sherwood Smith and Dave Trowbridge.) I often say that my fandom superpower is that I can talk about Real World™ navies and science fiction navies at the same time.